The new attribute suggestions UI is surfaced right in the summary section of the place card of a business, with bolded text guiding Maps users to provide information. 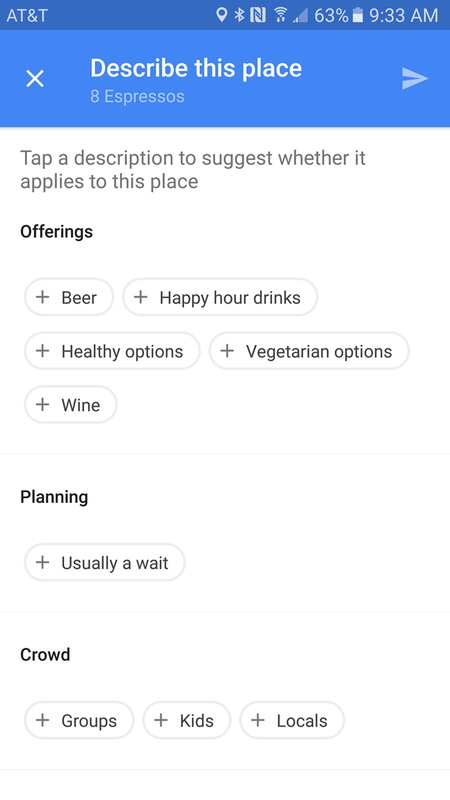 The UI is a categorized list of large radio-style selection buttons which allow you to suggest attributes for a business like “Beer,” “Healthy options,” or “Good for kids.” Instead of the more time-consuming and arbitrary yes/no/maybe card flow, you get to choose which information you want to vouch for. This is likely yet another one of Google’s infamous A/B tests, as the redundant card-based questions are still present for me in Maps while this new suggestions UI is active. 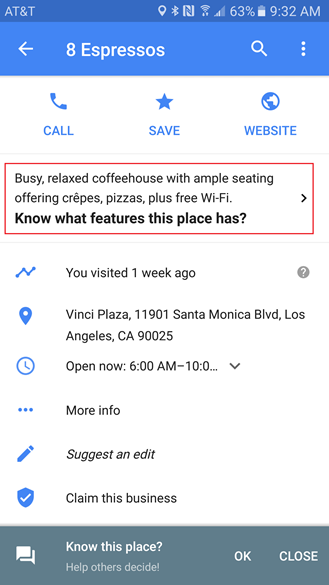 In fact, you can see Maps guiding me to the question flow at the bottom of the first screenshot, a feature that’s been off and on for quite some time now.